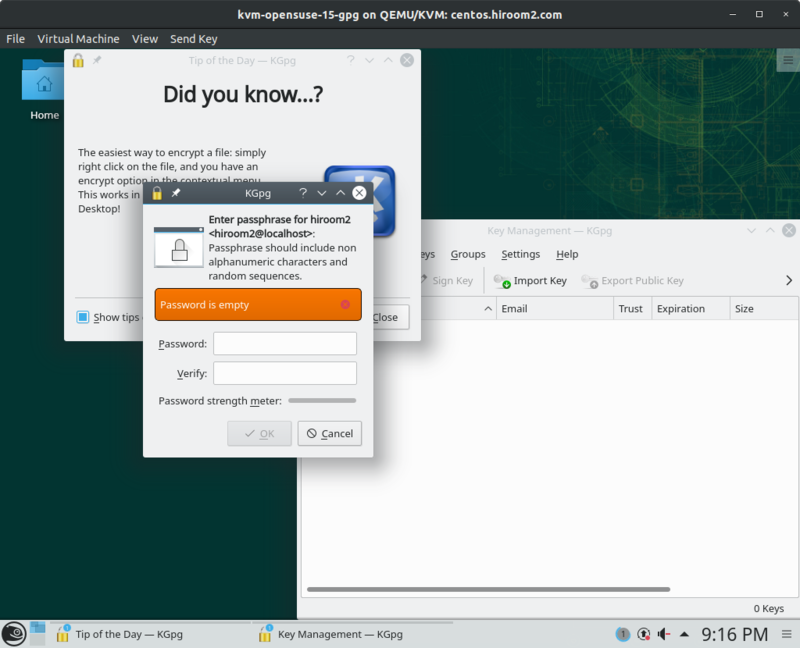 Chromium and Google Chrome needs KDE Wallet to encrypt password file. 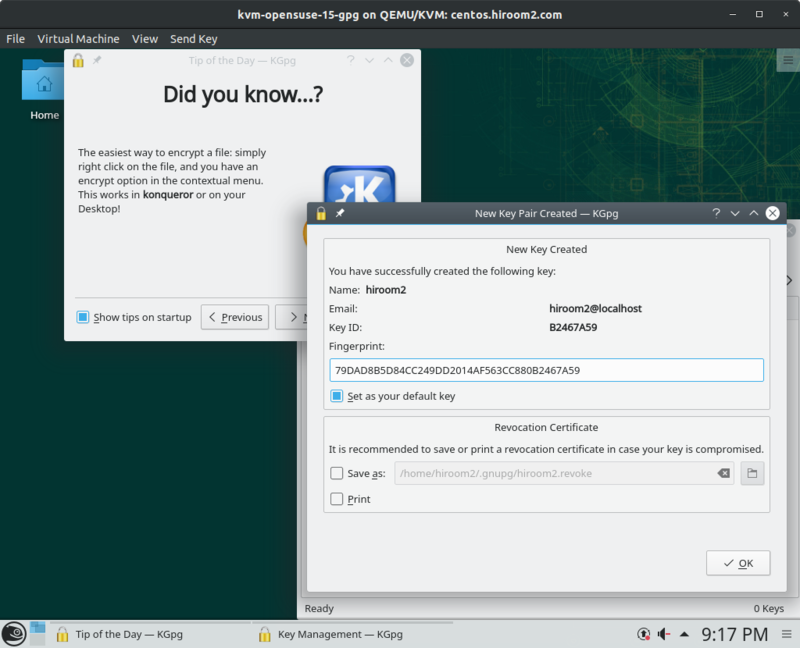 KDE Wallet supports encryption with GPG key. This article describe how to create GPG key. KGpg prompts for the gpg command path. You can use the default /usr/bin/gpg2. Click "Next". 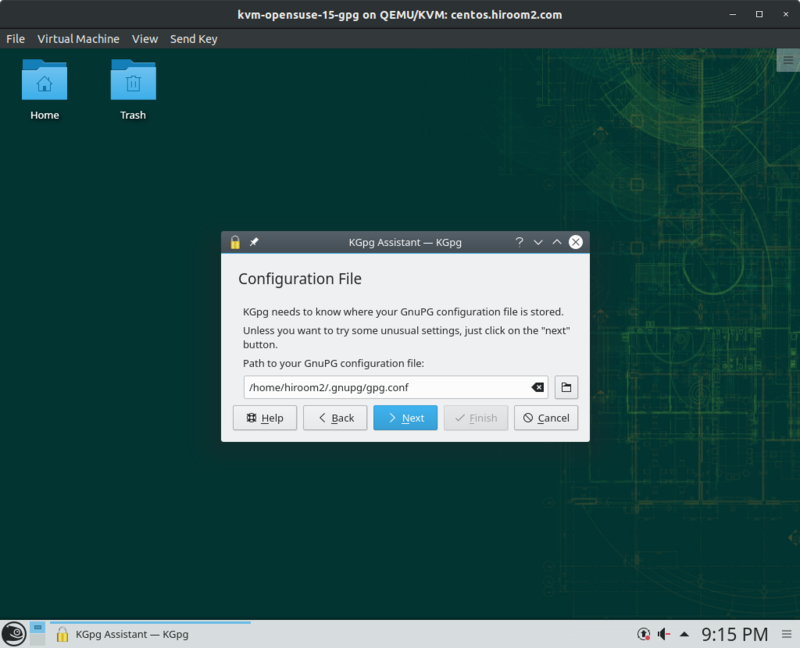 KGpg asks wheather creating GPG config file or not. Click "Create Config". 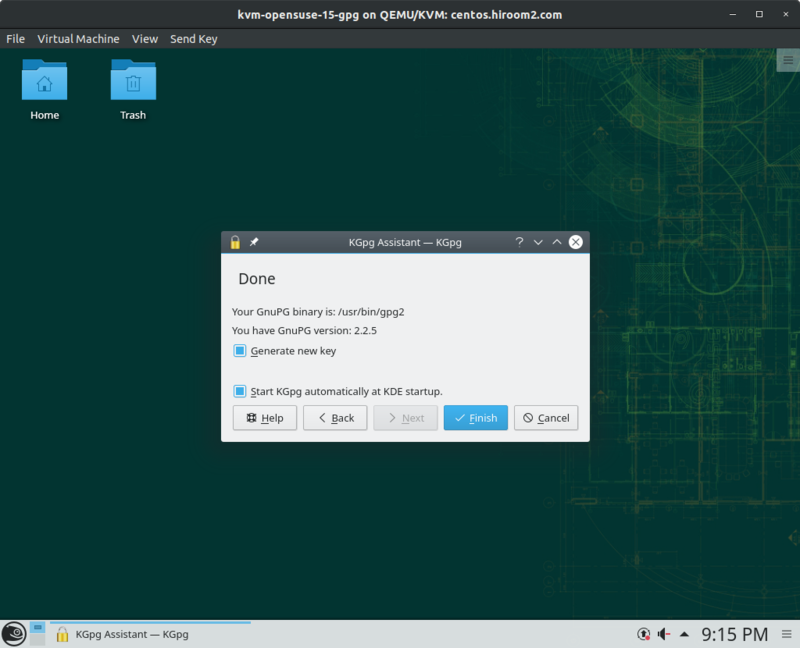 KGpg prompts for GPG config file path. You can use the default ~/.gnupg/gpg.conf. Click "Next". Input "Name", "Email" and "Comment". Click "OK". GPG key is created at ~/.gnupg. 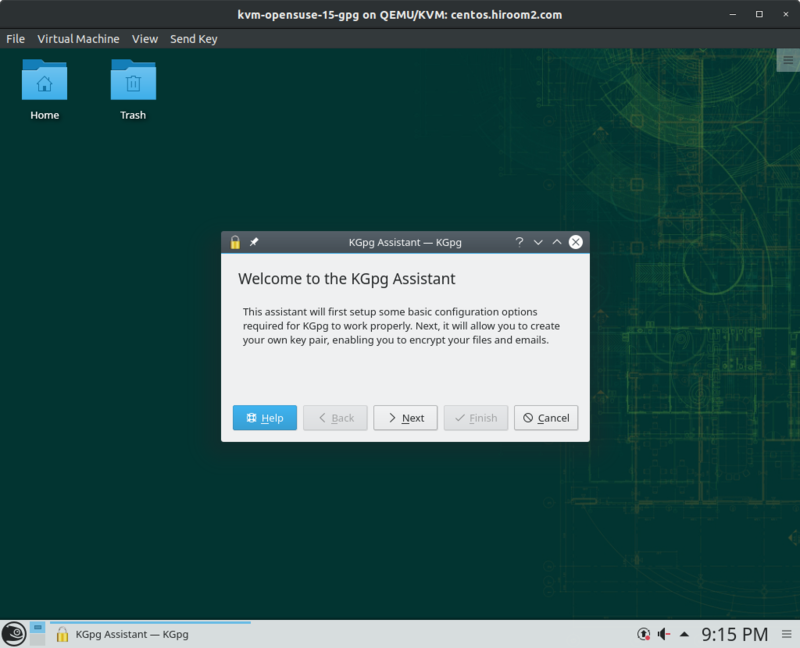 Click "OK" and close KGpg window. 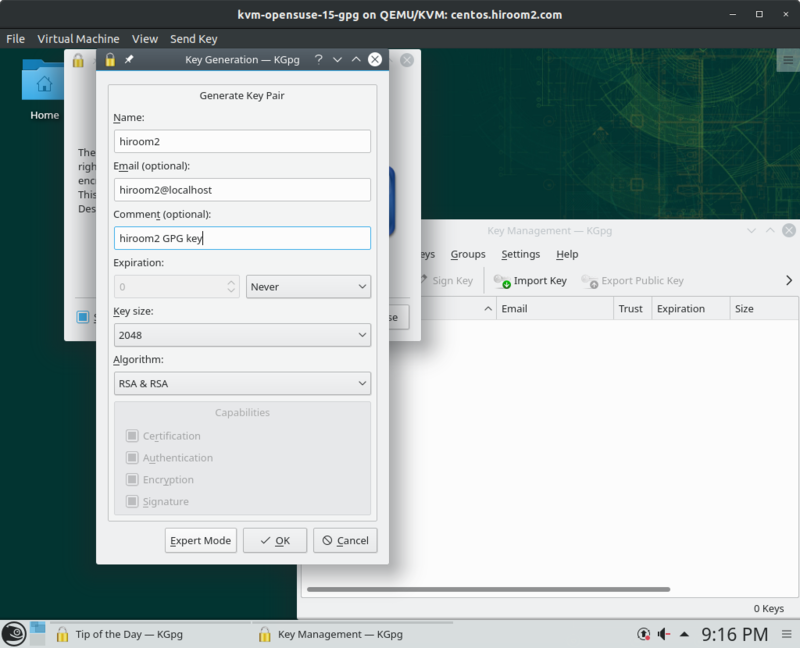 Create GPG key with gpg command interactively. If X window is enabled, X window will popup. Input passphrase. GPG key is created at ~/.gnupg. Specify gpg command setting file with –batch option.